The Mexicans could build a better one than Trumpo. 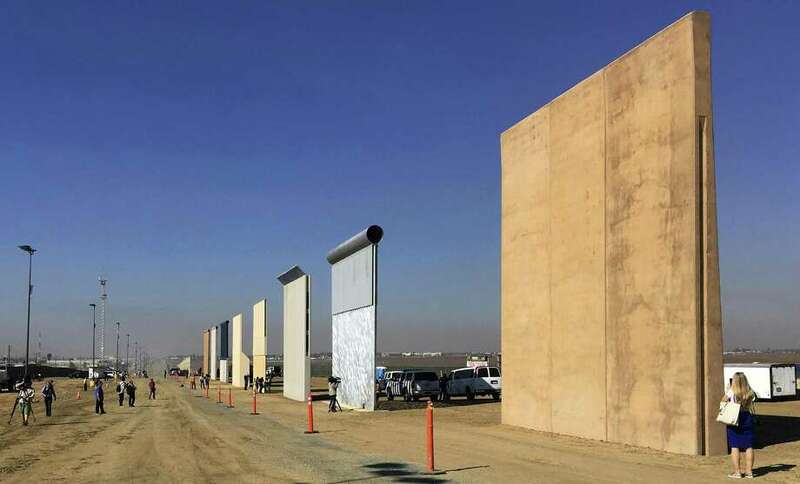 "DHS plans to spend billions of dollars developing and deploying new barriers along the southwest border," GAO concluded in its report. "However, by proceeding without key information on cost, acquisition baselines, and the contributions of previous barrier and technology deployments, DHS faces an increased risk that the Border Wall System Program will cost more than projected, take longer than planned, or not fully perform as expected." "Without assessing costs when prioritizing locations for future barriers, CBP does not have complete information to determine whether it is using its limited resources in the most cost-effective manner and does not have important cost information that would help it develop future budget requests. Without documenting plans to require CBP to follow the DHS acquisition process for the San Diego barrier segment, DHS may not establish cost, schedule, and performance goals by which it can measure the program's progress." These wall stubs should serve forever as a "monument to stupidity"… maybe a National Monument will be suggested as soon as the Department of the Interior is back in the hands of reasonably intelligent people again. Give me the exclusive franchise on the Mexican side for 31 foot long and longer ladders and I'd make millions.